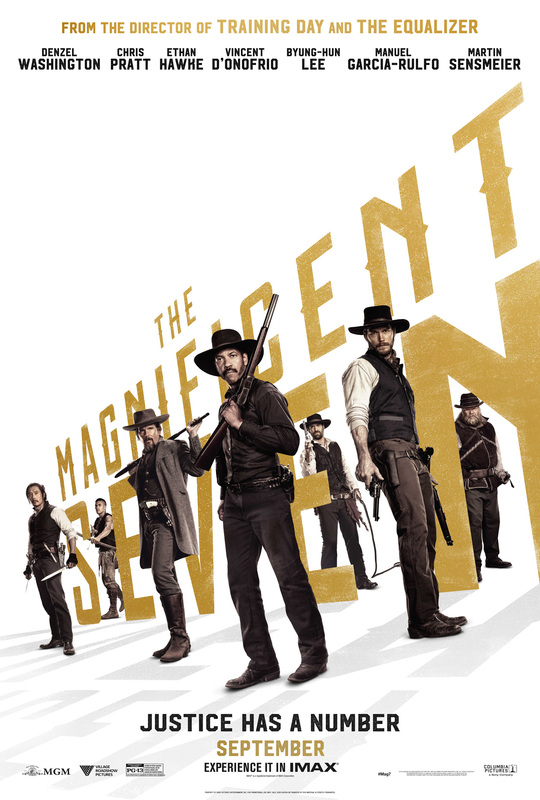 Sony Pictures and MGM have released the new poster and trailer for the upcoming remake of The Magnificent Seven. The main cast stars Denzel Washington, Chris Pratt, Ethan Hawke, Vincent D’Onofrio, Byung-Hun Lee, Manuel Garcia-Rulfo, Martin Sensmeier and Peter Sarsgaard. The film also features Haley Bennett, Matt Bomer, Billy Slaughter and Vinnie Jones. 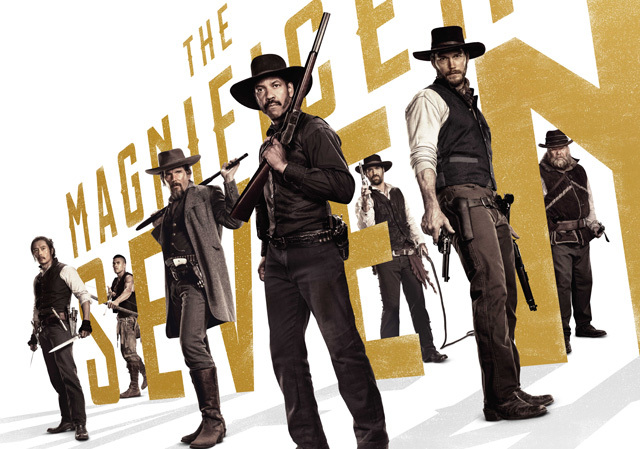 With the town of Rose Creek under the deadly control of industrialist Bartholomew Bogue (Sarsgaard), the desperate townspeople employ protection from seven outlaws, bounty hunters, gamblers and hired guns – Sam Chisolm (Washington), Josh Farraday (Pratt), Goodnight Robicheaux (Hawke), Jack Horne (D’Onofrio), Billy Rocks (Hun Lee), Vasquez (Garcia-Rulfo), and Red Harvest (Sensmeier). As they prepare the town for the violent showdown that they know is coming, these seven mercenaries find themselves fighting for more than money. The Magnificent Seven is set for cinema release on 23rd September 2016.